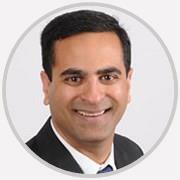 Dr. Shil Patel is board certified by the American Board of Ophthalmology and is a fellow of the American Board of Ophthalmology. He completed a vitreoretinal fellowship at Associated Retina Consultants, Phoenix, Arizona. Very efficiently run office. Dr. Patel is a fast yet apparently accurate tester and reviewer. I just need to plan any questions in advance and ask before he’s in and out. Dr. Patel is excellent. I'm very happy with his service. God Bless! Always very pleasant and caring. Very caring physician. Very thoughtful about his patients. Yes Dr Patel is very professional and personal too! He treat me like a person, not a number ! Very thorough and so friendly!